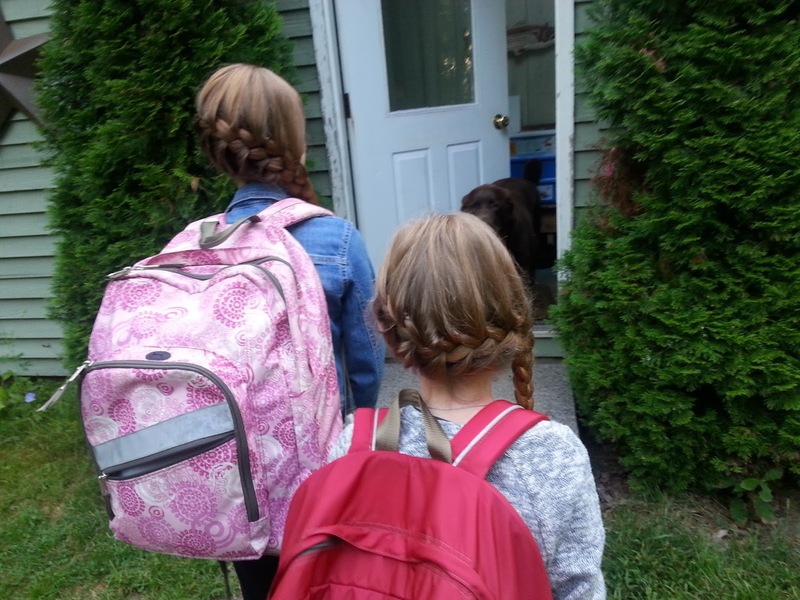 http://www.blogger.com/html?blogID=1755139666841541603 about a dream: Back to school! 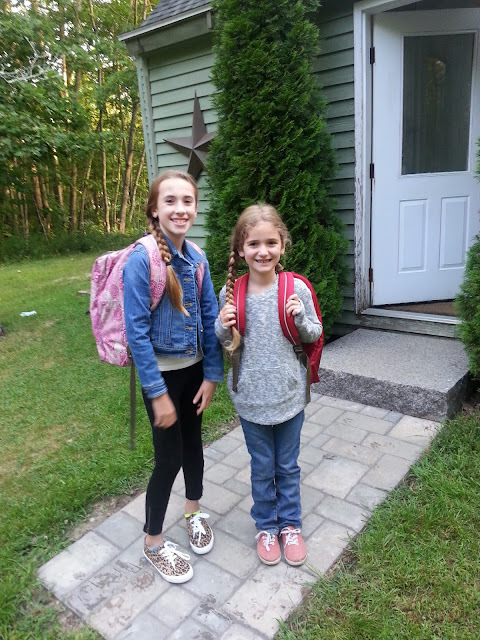 Here they are, on the first day of fifth and second grades. Adorable!! All decked out in their new digs, after mom and I took them on an August shopping spree. The hair. Very on trend. My braiding skills are coming along! It was my first day too! Things went really well that first day. The next 8, not so much. Nina had a lot of anxiety about starting fifth grade, and kept coming home with a tummy ache. Monday was labor day, so no school then, and in July I'd scheduled the girls' annual checkups for Tuesday the 8th, so they missed the morning for that. 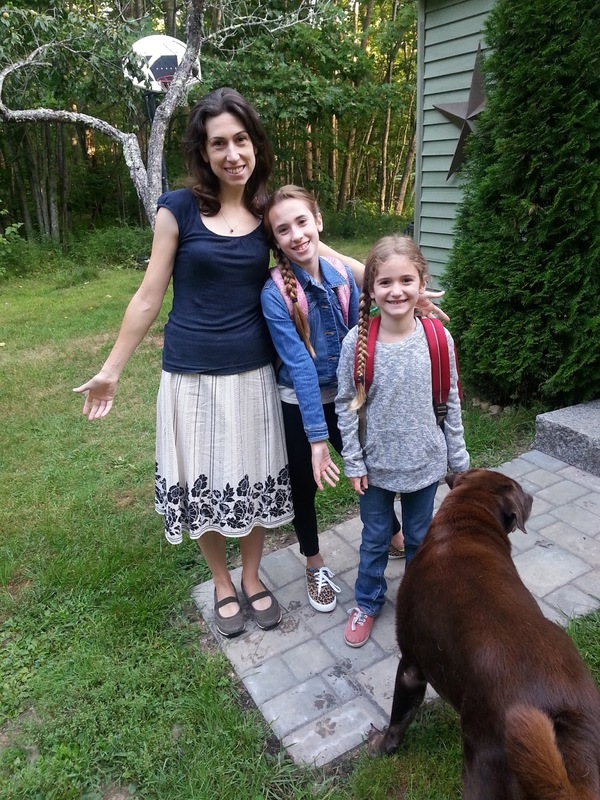 Dr. Feder gave Nina's tummy a clean bill of health, and also thought it was anxiety. She stayed the rest of that day, came home early on Wednesday and Thursday, but then made it all the way through Friday. Fingers crossed that that's the end of it! Mom will volunteer at the book fair on Monday, and I think Nina will be happy knowing that grandma's just downstairs if she needs a hug. Maggie's been having a great time. Of course, she'd rather be home playing with toys, but seems to have begun to accept school as a necessary evil. Things are so far, so good for me too. I picked up an Oceanography/Ecology course at the last minute, but I'm liking it. I mean, it's depressing, I've learned all about the miserable state of plastics in the ocean, but the teaching part is going well. What more can you ask for? In other interesting news, the girls are working as ball girls for the high school girls' soccer team! They really like it. 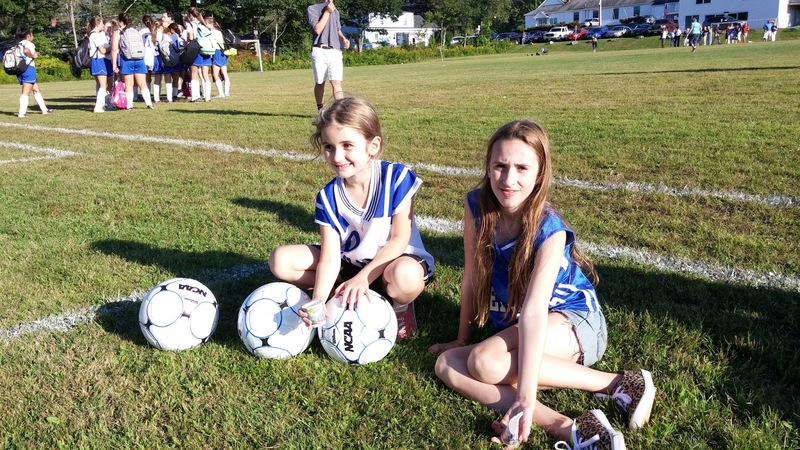 I'm psyched, because we've never done team sports before, but now they're getting a chance to be part of a team, get exercise, and learn about the rules of soccer. Plus, they get paid to do it! I feel like it's the greatest children's sports hack of the year. As a reward for sticking out all day Friday, and to give them someplace to spend their hard-earned $$ ($10/game each! ), we took them to Target, WalMart, and 5 Guys on Saturday. Great day. We ate so much 5 Guys we could barely make it back to the car. Looming ahead is our first 5 day week. Deep breaths. 170 work days until summer vacation!